If your dining room is set near the window, dress the windows with colorful or patterned curtains to create visual interest in the room. You can always go for neutral colors but if you want to draw the eyes to the dining room, you cannot go wrong with interesting window treatments and vivid pops of color! When choosing the perfect curtain color for the dining room, always consider your color scheme. 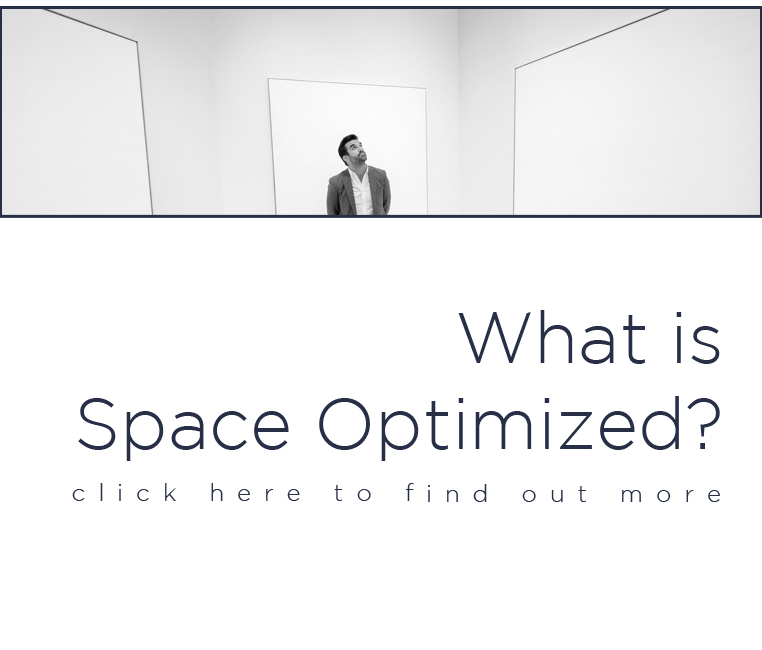 You can opt for a shade that matches or complements your wall colors or a shade that gives a nice contrast to the overall color scheme of your small apartment. A matchy-matchy dining set is always nice to have but if you want the dining room to stand out, use different chairs for the dining table. Mixing vintage chairs with contemporary chairs (or ghost chairs with accent chairs) add character to an otherwise plain dining room while also injecting a bit of fun into the design. Another way to give your drab dining room a minor update that will not break the bank involves swapping plain recessed lighting with eye-catching ceiling lights. You can opt for a sleek chandelier to add architectural detail to the dining room or perhaps a pendant light trio to add a touch of modernity into the space. Take your dramatic lighting up a notch by pairing the chandelier with an equally eye-catching base plate. If new lighting fixtures are way off your budget, scour flea markets and thrift stores for interesting finds! 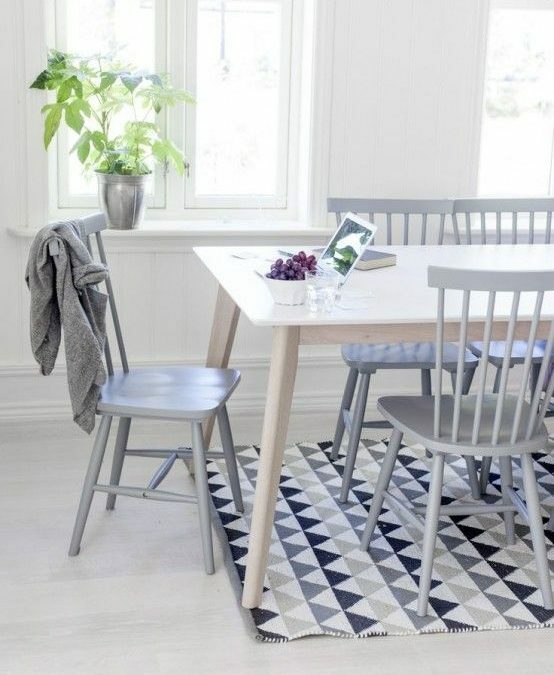 Geometric and linear prints give the dining room a sense of structure while also providing the illusion of added length and width to your small apartment. 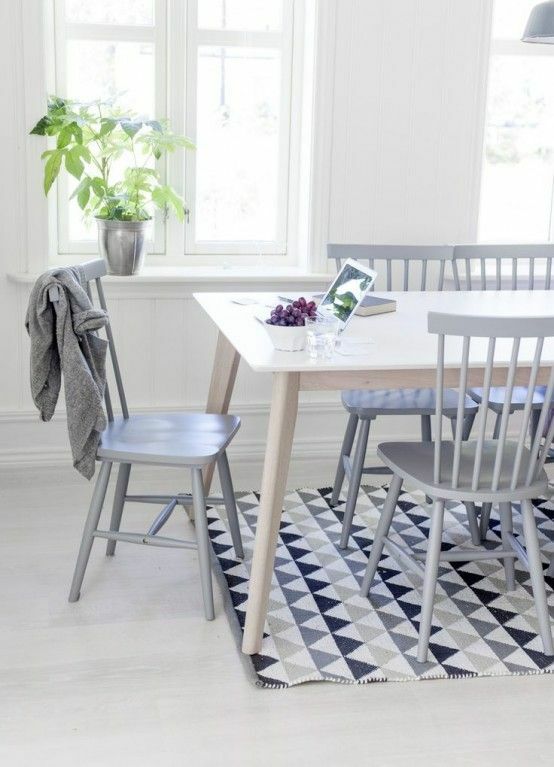 This is the perfect solution for small dining rooms that don’t make much of an impact. Play with same-color geographic prints or find different patterns that have similar look to them so the end result isn’t busy or chaotic. Check out this guide for more tips on how to decorate with different prints. Incorporating contrasting colors is one way to instantly refresh tired, outdated spaces like your drab dining room. 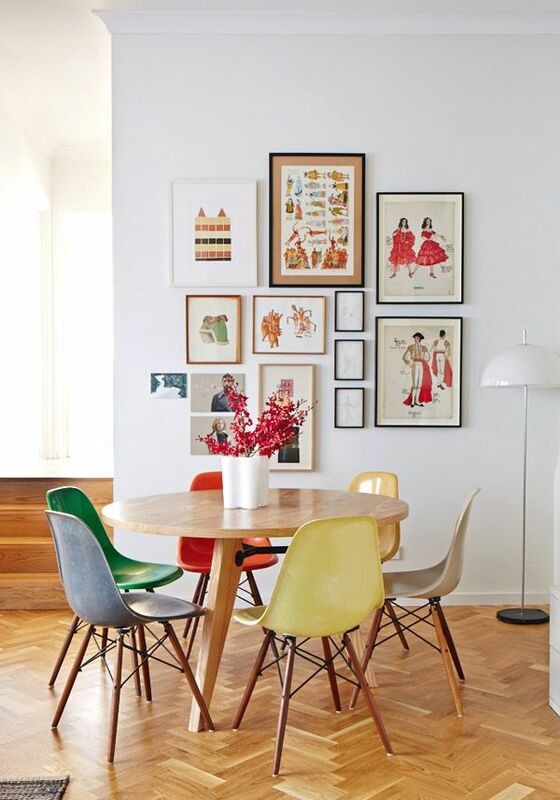 If your dining room is drowning in neutrals then it’s easy to incorporate bright pops of colors to your color scheme. 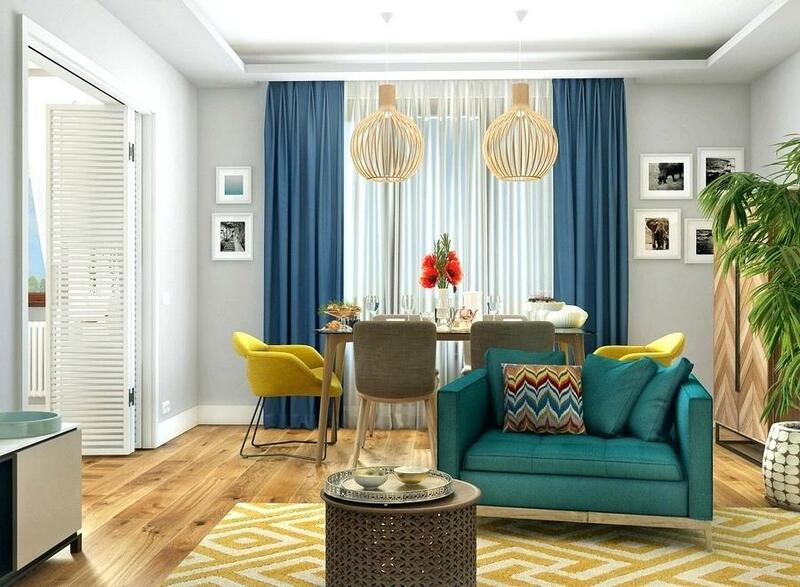 A cheerful pop of lemon yellow or calming blues and greens will definitely add a nice contrast to a neutral room. But if your dining room is already colorful, choose a shade that belongs to the same color family as your base color. You can incorporate bright hues into your dining room by changing the chair covers, hanging an abstract painting, or creating a colorful table centerpiece. Make a bland dining room pop by dressing up the walls. Try hanging framed artworks in different sizes all over the walls to define this room or a trio of accent mirrors! You can also hang several of your framed collection to create an eye-catching feature wall to pull the attention to the dining area. 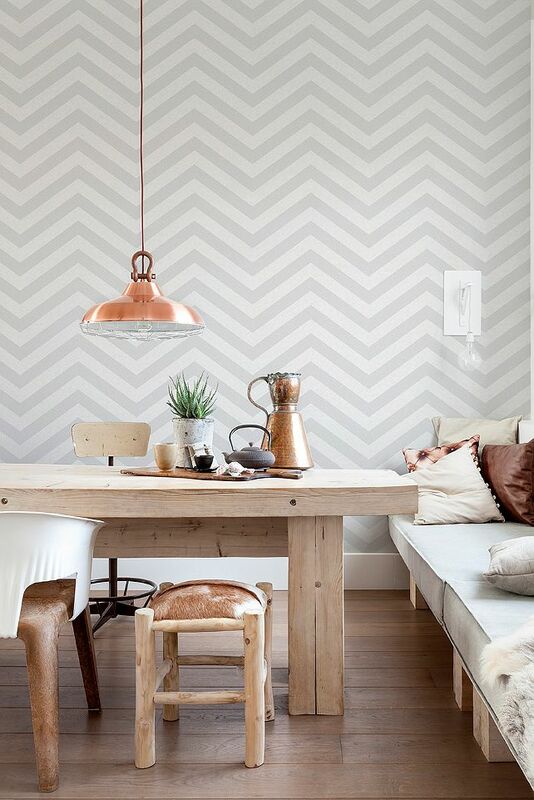 A quick and easy way to dress up the dining room – or any room for that matter – on the cheap is to apply wallpaper on the wall. You can apply the wallpaper to one section of the wall or all over, it’s all up to you. Wallpaper comes in many colors and prints to choose from, opt for a design that complements your existing color scheme. Of course, if you want to add a little contrast to your dining room design, you can go for bold colors. Hide that ugleh linoleum flooring with a large, patterned rug. The larger the rug, the better! A patterned rug helps define the dining area, creating a visual barrier between this room and the rest of your interiors. A patterned rug will pair well with colorful chairs or contrasting curtains but just to make sure you don’t overwhelm the space, pare down the rest of your decors to create a balanced design. Found these small apartment design ideas helpful? Tune in for more! 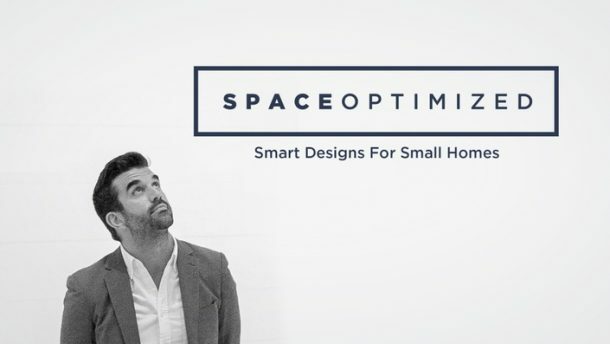 In the meantime, sign up for our free home design course here!